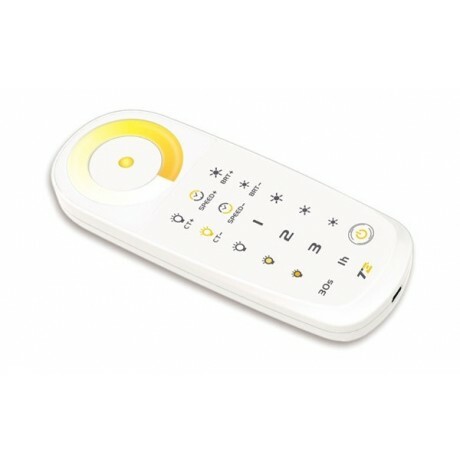 This Dimmer remote is suitable to dim a LED strip with 2 colors LED or 2 SingleColor FlexStrips. 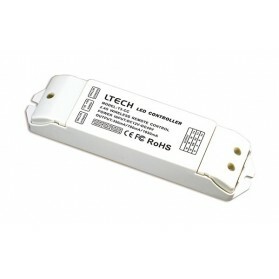 The remote transmits a Radio Frequency signal and has a 30 meter range. 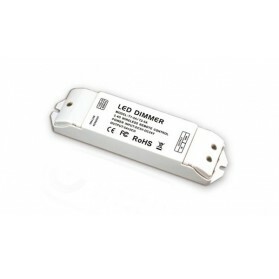 The LED can be easily dimmed with the touch remote. 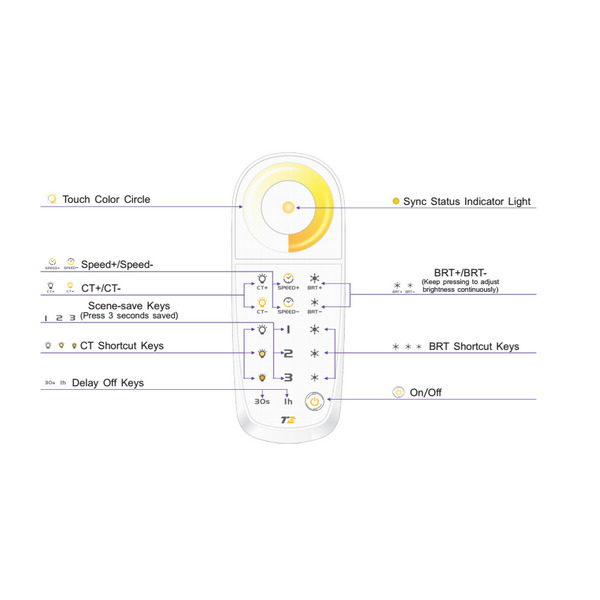 The remote is chargeable by means of a USB cable. 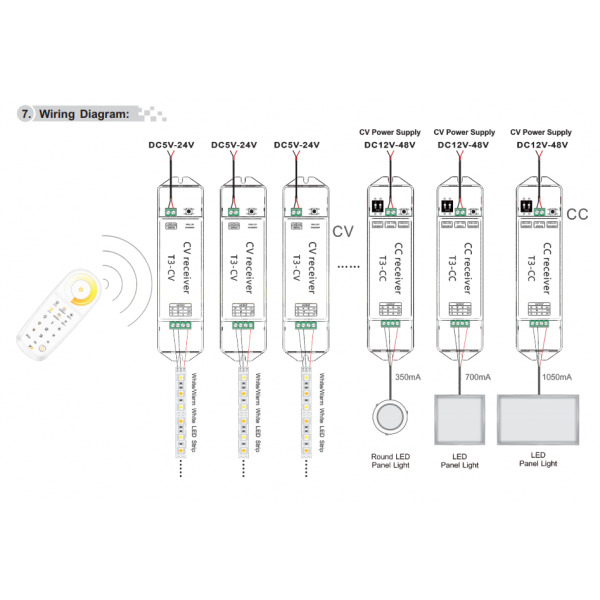 The remote can be used with multiple receivers, but it's not possible to control them as individual zones. 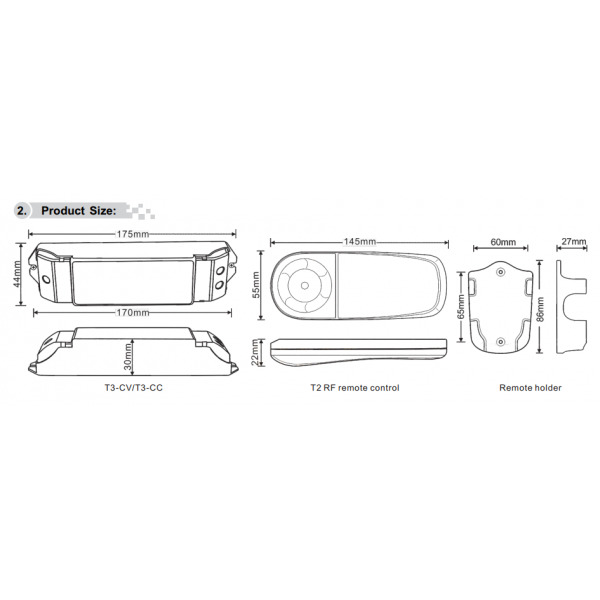 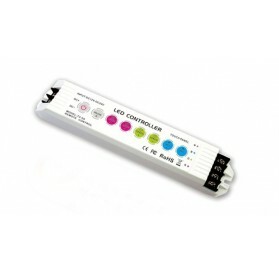 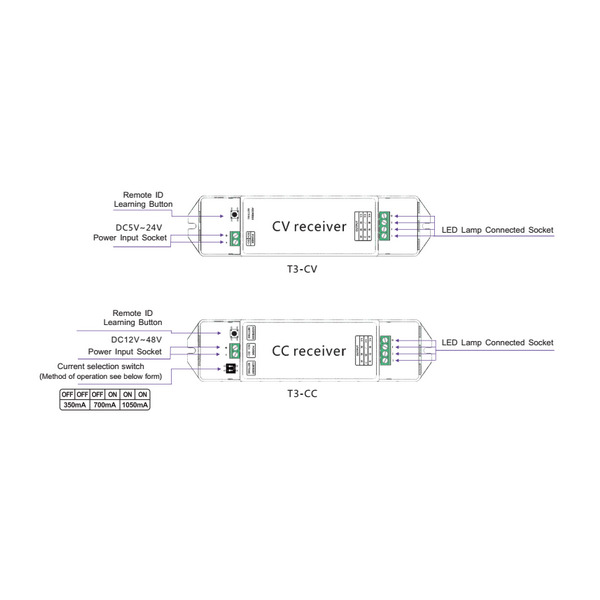 To use this product you will need the receiver (LED RGB Receiver RF item 22651).